TOKYO : February 26, 2009 — Mitsubishi Motors Corporation (MMC), in cooperation with its Hong Kong distributor Universal Cars Ltd., today signed a Memorandum of Understanding (MoU) with the Environment Bureau of the Government of the Hong Kong Special Administrative Region of the People's Republic of China regarding local evaluation of the zero-emissions i MiEV electric vehicle. As an investigative step toward possible future introduction of the electric vehicle, the proposed project would begin as early as May 2009 and would examine issues including market acceptability, as well as incentives and structural issues such as the suitability of the charging infrastructure. 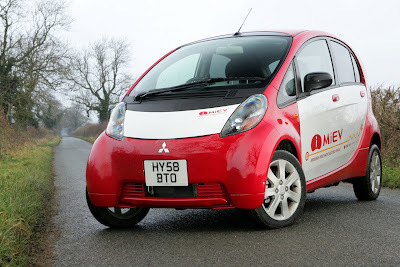 Announced in October 2006, the i MiEV represents the pinnacle of Mitsubishi Motors' green technologies. Currently involved in testing and promotional activities in Japan, New Zealand, the United States and across Europe, the i MiEV will be launched in Japan during the summer of 2009. 0 Responses to "Mitsubishi Motors signs MoU with Hong Kong Environment Bureau regarding testing of i MiEV electric vehicle"